21 Mar Let’s be empowered internet citizens! 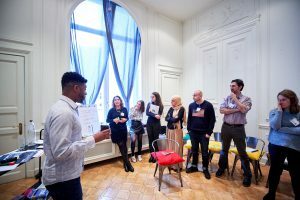 While social media now plays a vital role in the everyday lives of young people as citizens, education systems across the developed world have been slow to react. Extremist groups rely on false promises of status and purpose, manipulation, conspiracy and divisive rhetoric to exploit young people online. Against these methods, critical thinking skills and media literacy, social and emotional skills and meaningful digital citizenship capacities are a strong defence. 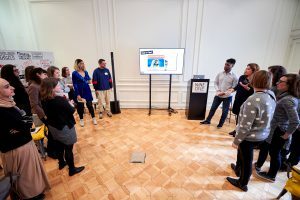 Today’s young people may be digital natives, but they still need to be taught how to stay safe, make their voices heard and play a positive role as citizens in the online space. How to help them? Be Internet Citizens project seeks to meet this need. 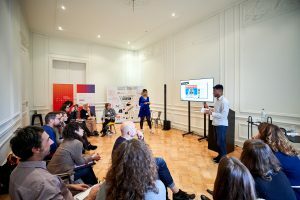 A partnership between Google, YouTube Creators for Change and Institute for Strategic Dialogue (ISD), the project is designed to teach 13 to 15-year-olds about media literacy, critical thinking and digital citizenship, encouraging young people to be positive voices online while increasing their resilience to hate and extremism. 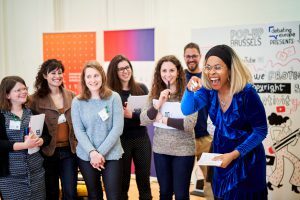 ­Using an implicit approach to counter-extremism which focuses on popular culture and social issues, the project delivers positive secondary effects, helping participants become more informed citizens, critical consumers and empowered producers of content. 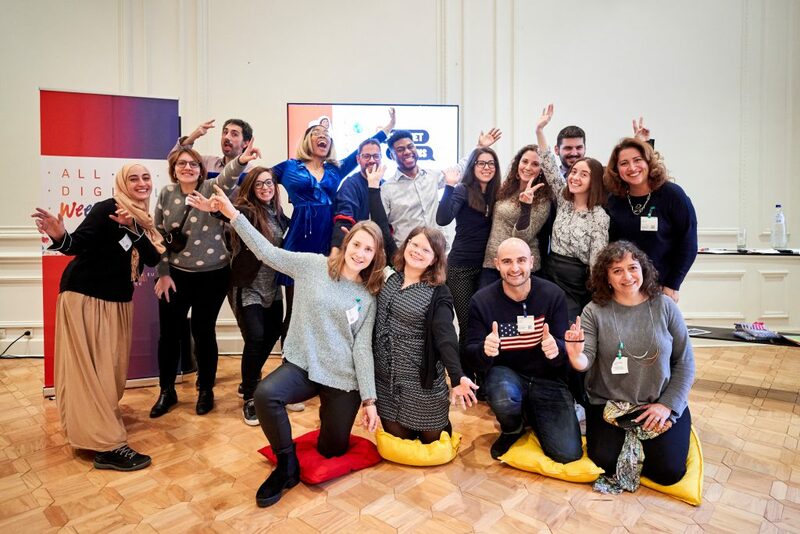 On 18 March, Google Europe and ALL DIGITAL organised a training workshop for trainers interested in delivering the “Be Internet Citizens” workshops in their communities. 15 trainers from Spain, Italy, Belgium, and Greece were led by two enthusiastic and motivational trainers, Alain ‘Fusion’ and Efe, through an exciting thought-provoking curriculum. What is the Curriculum about? 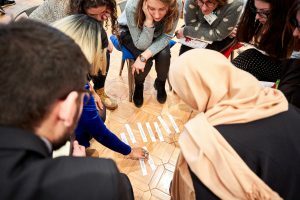 The Curriculum is comprised of five sessions which cover key areas of digital citizenship: fake news and biased writing, emotional manipulation, the ‘us vs them’ mentality, and the difference between hate speech and free speech. What is the best way to prepare for teaching? Of course be the learners first! Workshop participants were guided through all the sessions in fun, engaging, and discussion-provoking activities and were given tips and advice on how to better organise those with young people. They learned to look for cues to identify fake news, to differentiate biased opinions, free speech and hate speech; came up with definitions of echo chambers and filter bubbles; experienced and recognized emotional manipulation, how to deal with bullying and hate speech, and argued adamantly about people with which skills should be allowed to travel to Mars. It was an inspiring journey, and now the trainers are eager to try this curriculum with young people in their countries! They will share their experience, so stay tuned! 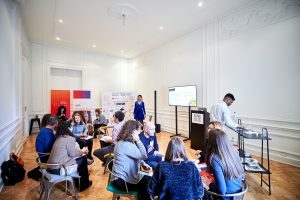 The workshop was conducted as part of EU Media Literacy Week and ALL DIGITAL Week campaigns. Alain ‘Fusion’ Clapham, The self-professed ‘Creative Storyteller’ has presented shows for MTV and Sky, hostedevents at Wembley Arena, interviewed the likes of Beyoncé, Dr Dre and Marvelmastermind Stan Lee, and shared his story on the TED stage. 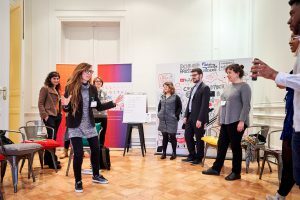 An experienced educator and creative producer, he now helps everyone from schools students to award-winning CEOs discover their own stories of transformation. 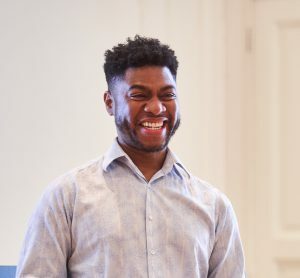 The driving force behind creative currency initiative #IITSPIRATION and founder of BMT – an immersive live experience celebrating the ‘awesome everyday’ stories of black men – Alain takes on all challenges with irrepressible energy, curiosity and a desire to get to the heart of the matter. Efe Ezekiel is the UK’s Master Youth Mentor and Trainer who delivers every session, workshop, talk and TV/Online interview with a unique and innovative energy and enthusiasm. Efe has been a Youth Mentor and Coach for over 12 years and worked with a diverse range of young people from the ages of 3to 25-year olds. 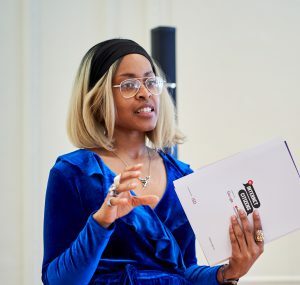 Efe delivers sessions on a wide range of topics through her mentoring company ‘Ushine Ishine’: from technology, personal development, confidence, public speaking, creativity, the media and any issue that empowers young people to create positive change in their lives. She also trains adults on how to mentor and work with young people effectively. Efe has also had a successful career as a TV Producer, Presenter and Content creator working with some of the biggest TV stations, advertising companies and worldwide brands. Efe has been awarded numerous accolades and awards for her work with young people. The latest award was the ‘British Empire Medal’ on the Queen’s New Year’s Honours List 2018 for her service to Young People.